As MileSplit counts down to the Flo Golden South Classic on May 19, we're looking back at some of the best years in meet history. Check back every day for a new moment and register to make your mark on history here! When Derrick Adkins of Malverne, New York, ran 51.12 to win the 1987 Golden South Invitational, he became the new meet record holder. Adkins matriculated at Georgia Tech, where he became a six-time All-American in the 400m hurdles and 4x400m relay. 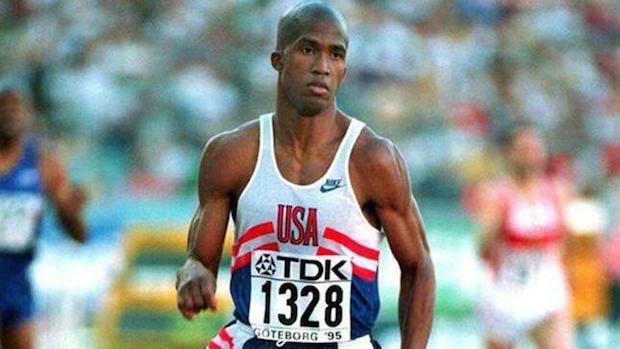 His junior year, he won the 1995 IAAF World Championships title in the 400m hurdles. The Yellowjacket spent his days training in Atlanta, where he said the sight of the Olympic stadium inspired him every day. He didn't have to wait long to channel that inspiration--he won gold at the 1996 Atlanta Games. Adkins' 51.12 standard still stands as the Golden South meet record as the event approaches its 42nd anniversary.